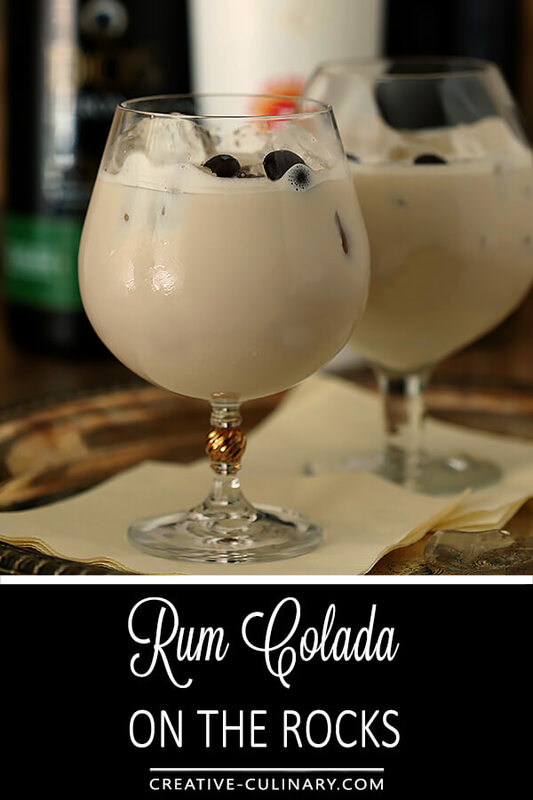 Combining rum, coffee liqueur, and a rum based horchata made this Rum Colada on the Rocks the perfect after dinner drink; bet you’ll think so too! I have a pretty healthy size bar; healthy as in if I told you how many bottles of booze I have you might ask me to prove it. Someone did that once…and I did! So I’ve quit taking up brands on offers of trying something new for the most part unless it’s really unique and I guess by virtue of the fact that I’m featuring this cocktail today, I thought something about these offerings fit that criteria. Quite honestly I simply love dark rum and my stash needed replenishing so I was eager to try this Dos Ron Rum and it did not disappoint. It’s a rich gold color with reddish hues. The scent is intoxicating; clearly the result of precious woods but also the sweetness of sugar cane molasses. Maybe that’s why I love rum so much? I LOVE using molasses to up the flavor profile of my recipes too, both sweet and savory. 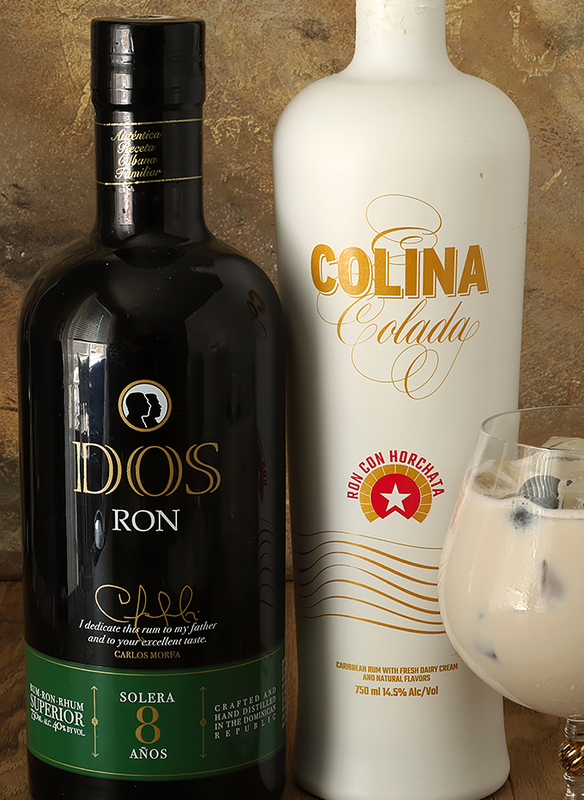 This rum is well balanced and full bodied and recommended best served on the rocks but with my package offering a bottle of rum and a bottle of Colina Colada, I had to find a way to mix them both together. The Colina Colada is horchata but with a buzz; it’s 100% Caribbean rum blended with fresh dairy cream, cinnamon, lemon, and other unique, natural spices and my taste testers loved it on it’s own too. By the way, taste testers include whatever girlfriends I can get to run over for a minute; I don’t have a strict criteria for the job. Also let me know if you’re close and would like to apply. After tasting both products on the rocks, it was time to work on a cocktail. 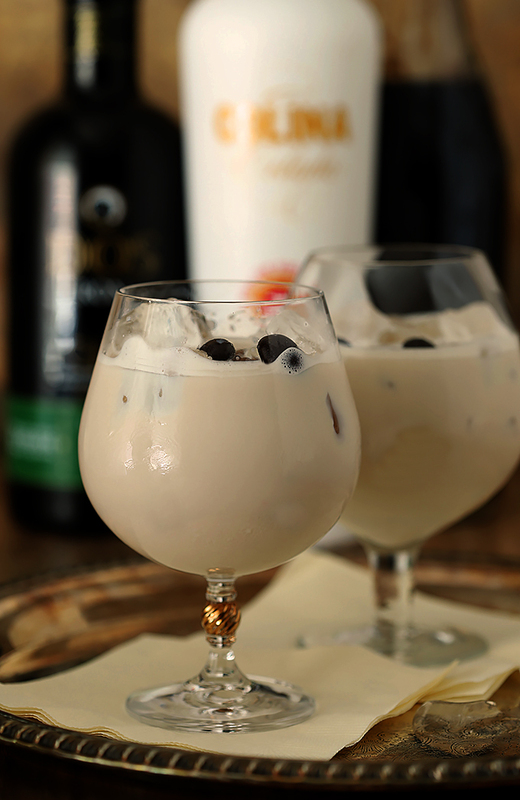 Adding a touch of coffee liqueur to the rum and horchata liqueur and complimenting it with a garnish of chocolate covered espresso beans made for a cold, tangy and altogether satisfying after dinner drink. The perfect libation to enjoy while relaxing outside in these lazy, hazy, crazy days of summer. The Colina Colada was the big surprise I have to admit. I’ve made a lot of combinations of liqueurs and cream over ice that I’ve enjoyed but that touch of spice kicked it up a notch. I had to watch that bottle carefully; two of my girlfriends would have gladly helped me lower my crazy booze inventory by removing it from the premises…but I loved it too, not so fast! This is a rich and satisfying cocktail; enjoy it outside with the last of summer or inside by a fire as weather cools; you’ll love it too. 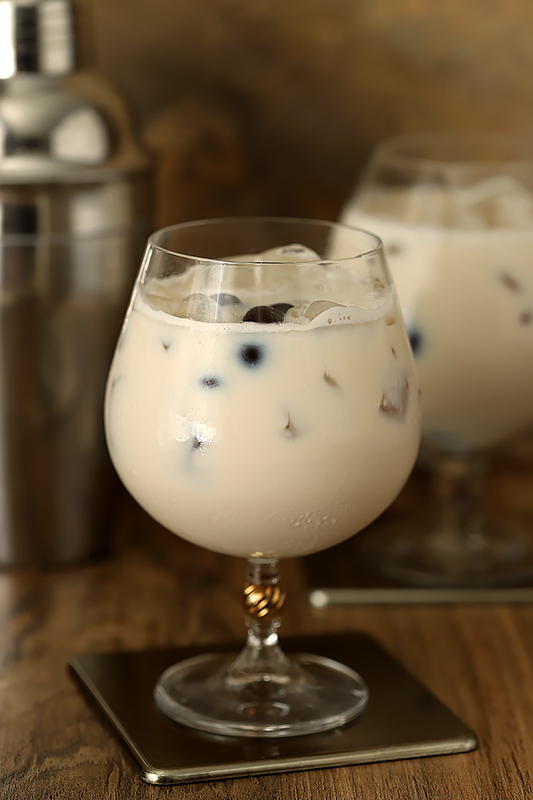 Combine all ingredients except espresso beans in an ice filled cocktail shaker and shake until thoroughly chilled. The post Rum Colada on the Rocks appeared first on Creative Culinary.